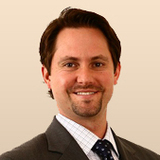 Adam B. Scott is a co-founder of Argyle Capital Partners. A veteran of Morgan Stanley and UBS Wealth Management in Beverly Hills, Adam uses his extensive market knowledge and macro-level analysis to implement customized solutions for high net worth private clients. Adam's colorful insights and market analysis can be consistently found on Yahoo! Finance and Seeking Alpha. 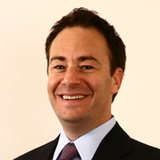 He is also a regular contributor to TheStreet.com. Adam is a graduate of Tufts University in Boston where he studied Mechanical Engineering and Finance, captained the Men’s Varsity Tennis Team, and served on the Senior Leadership Committee. Today Adam is still an avid tennis player and skier, and volunteers his free time to the Fulfillment Fund, the Tufts Alumni Association and coaching local youth sports.